In the first episode of the new Hockey Night in Canada podcast, host Rob Pizzo and regular contributor Sophia Jurksztowicz tackle five of the biggest questions in the NHL ahead of opening night. The NHL season begins tonight. 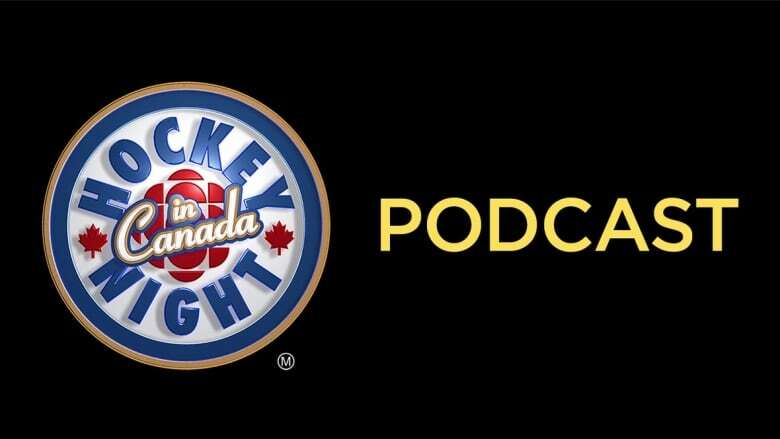 And so does CBC Sports' new Hockey Night in Canada Podcast. Opening night always brings plenty of excitement about the season ahead, and this year is setting up to be a fascinating one for Canadian fans of the game. Host Rob Pizzo considers the burning questions from around the league and talks to people in the know to get the answers. You can listen to samples of some of those conversations in the video players below. Click here to listen to the full debut episode and be sure to subscribe to get a new one every week. The show is available on iTunes, Google Podcasts, Stitcher, Tune In or wherever you get your podcasts. 1. Will John Tavares be the one to lead the Maple Leafs to the promised land and end 51 years of Stanley Cup futility? Rob hits practice with Tavares's teammate, Connor Brown, to get an insider's take on the expectations and pressures ahead. 2. Even people who are usually oblivious to hockey fell for the heroic playoff run by the Vegas Golden Knights. The team became a healing force following the mass shooting a year ago that traumatized the city. GM George McPhee shares those memories and answers the question: Are the Knights the best in the West again this year? 3. Can a Canadian team finally win the Stanley Cup? Features producer Sophia Jurksztowicz puts that one to former Hab Denis Savard, who was there in 1993 when Les Canadiens became the last to do it. 4. Can the Washington Capitals shake off the Stanley Cup party and repeat as champs? And who is the best player in the game? Both those pressing questions fall to our straight-talking friend and former Stanley Cup winner, Glenn Healy.